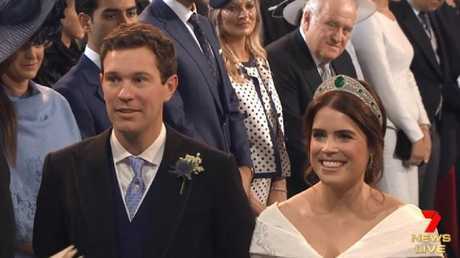 PRINCESS Eugenie is now a married woman, having wed Jack Brooksbank at St George's Chapel at Windsor Castle. 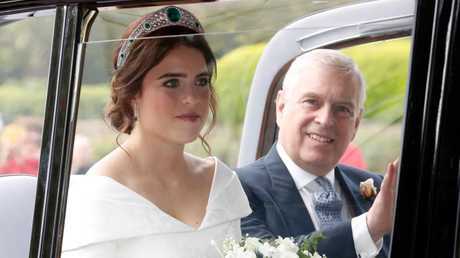 Eugenie, 28, the daughter of Prince Andrew and his ex-wife Sarah 'Fergie' Ferguson, married her boyfriend of seven years in a ceremony attended by most senior members of the Royal Family - and a roll call of A-list guests (some surprising - Demi Moore? Ricky Martin?). First - what we're all here to see. 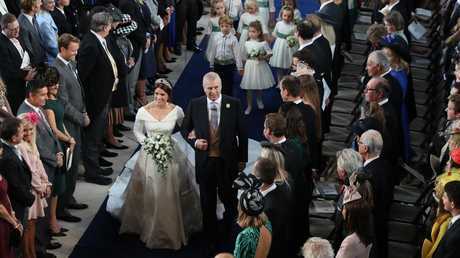 Eugenie's dress was created by designers Peter Pilotto and Christopher De Vos, who founded British-based label Peter Pilotto. 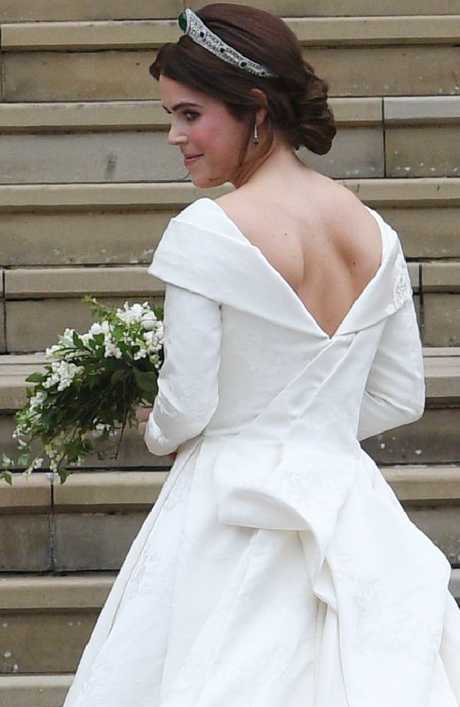 The cut of the dress showed off a scar on Eugenie's back from a scoliosis operation she had at the age of 12 - this was a deliberate choice by the princess, who wanted to wear her scars with pride. 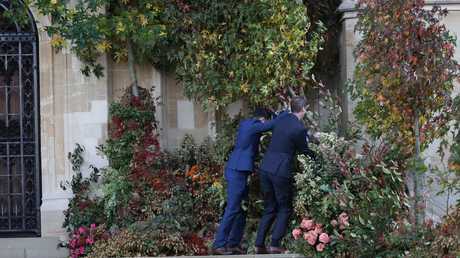 They didn’t get the same vicar as Harry and Meghan’s wedding, a source of great disappointment. 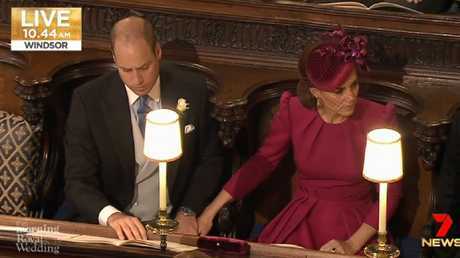 It's been a traditional ceremony - but one reading, from Princess Beatrice, stuck out. 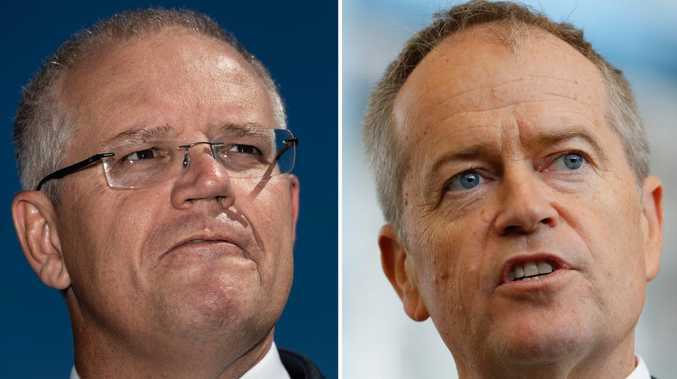 Beatrice read a passage from The Great Gatsby, about a man possessed with a "rare smile" that could make you feel like the only person in the room. 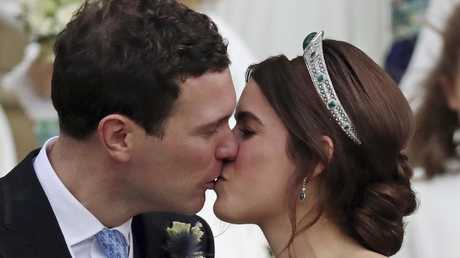 Eugenie had previously told reporters Jack possesses just that quality. Now - the guests. 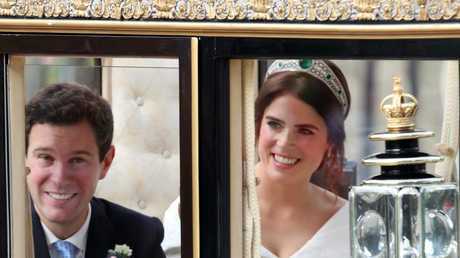 No-one's here to look at pictures of Jack Brooksbank, after all. PDA much! 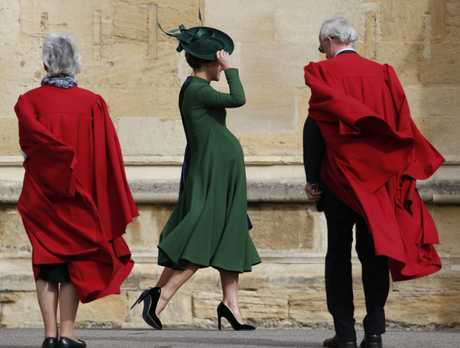 Get a room, royals. 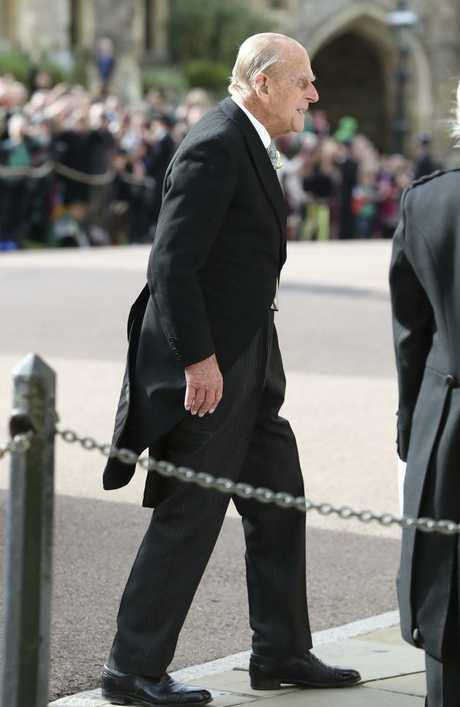 Someone’s thrilled they don’t have the kids today. 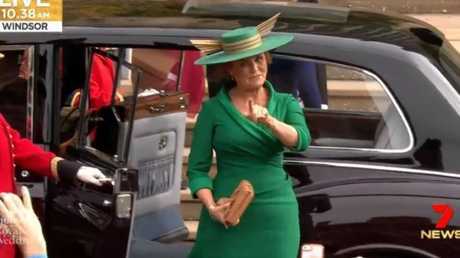 Beatrice this hat is nowhere near ridiculous enough. Please see us after class. 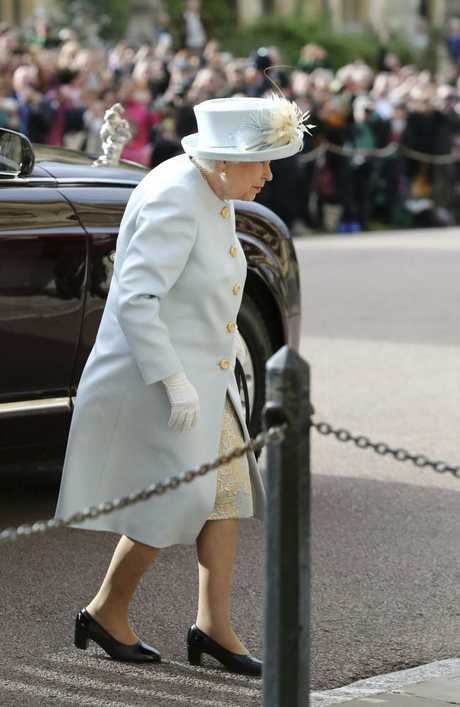 Someone’s clearly stoked she’s out of the royal bad books for the day. 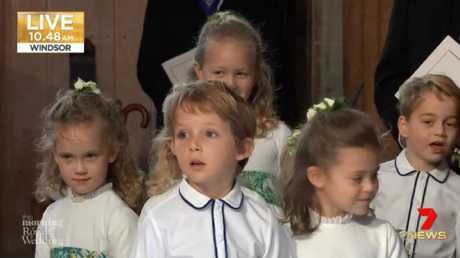 Robbie Williams and wife Ayda Field's six-year-old daughter Theodora is a bridesmaid for Eugenie. 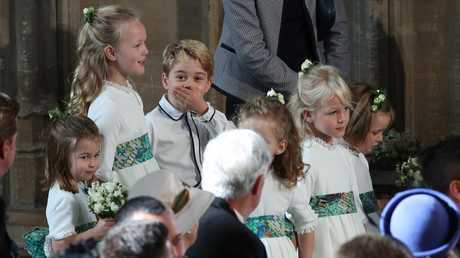 The royal couple have been friends with Robbie and Ayda for years after being introduced by Fergie (Eugenie's mum - not the Black Eyed Peas wailer). 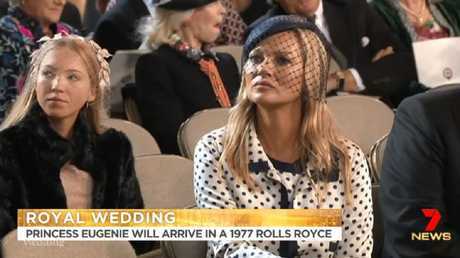 Rumour has it music legend Holly Valance was to sing an acoustic version of Kiss Kiss as Eugenie walked down the aisle (nb - I started that rumour). Naomi Campbell looked absolutely amazing. She should be a model! 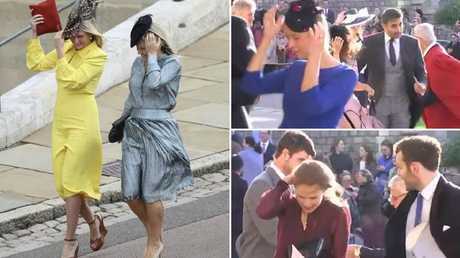 Chelsy Davy, who famously dated Prince Harry for seven years (from 2004 until 2011) was also among the earliest arrivals. 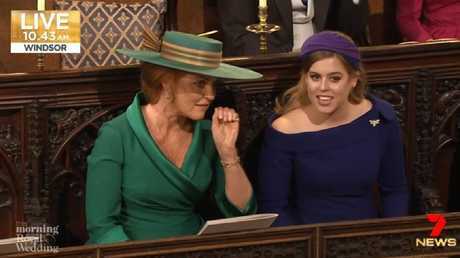 It's understood Princess Eugenie and Chelsy have been close friends for years - and it was actually Eugenie who introduced her to Harry. 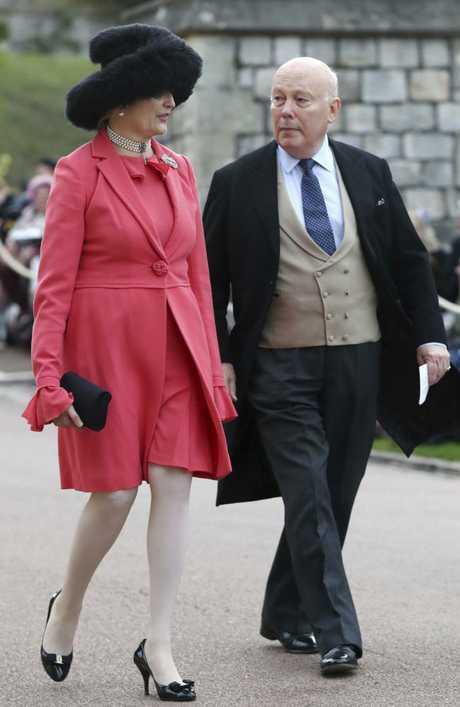 Seriously, is this wedding being held in a wind tunnel? One A-list couple who are not in attendance, ending months of speculation: George Clooney and wife Amal. 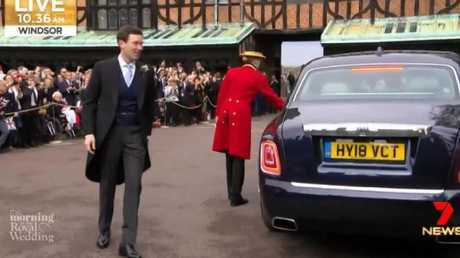 Brooksbank works as the European Brand Manager for Clooney's tequila company and the Hollywood couple were among the famous faces at Harry and Meghan's wedding in May. 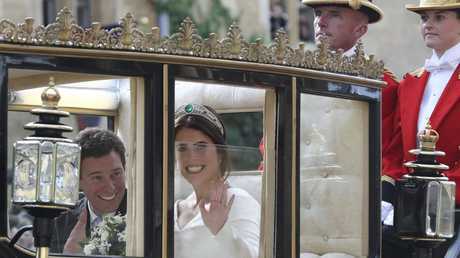 Overnight, Eugenie and her fiancee fronted up to the cameras for an interview on ITV, the channel airing the wedding in the UK after the BBC knocked back the option to air the event. 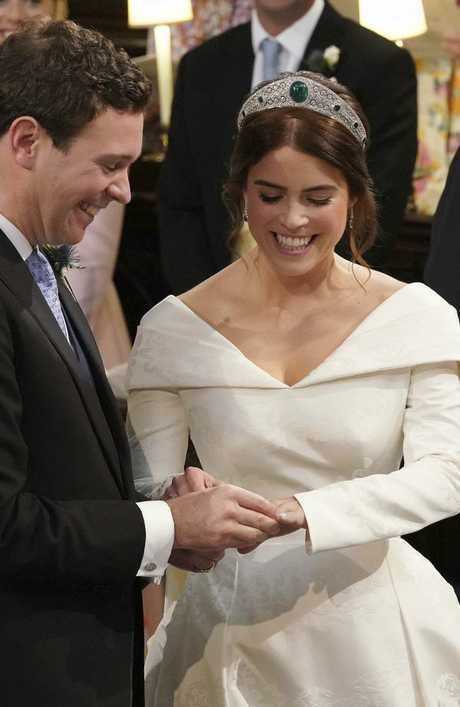 Eugenie admitted the prospect of such a big wedding was "a bit scary," but at the end of the day you get to marry the person you love … and you're going to be at the end of the aisle, and I'm going to be running towards you!" 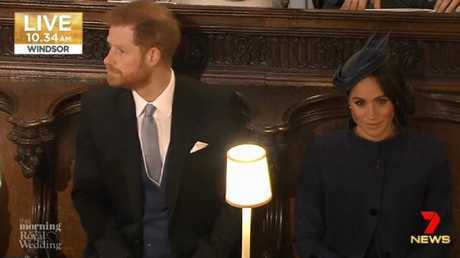 The nuptials came five months after the other royal wedding of 2018, Prince Harry's wedding to American actress Meghan Markle.